If you’re getting ready to welcome a new baby home, well, firstly, congratulations! 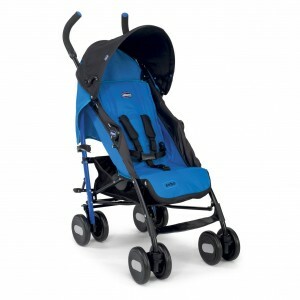 You must already have a long list of things to buy for the little one, and a pram or stroller is bound to feature on it. This handy guide from Conzumr will run you through everything you need to know about baby prams, carriages and strollers, so that you can confidently make the right purchase. Do You Need a Pram or Stroller? If you’re still not entirely decided on whether you should get a stroller home, here are a few things to consider. Once you start stepping out of the house with your tiny tot, he/she may not feel so ‘tiny’ when you have to heft the baby in your lap for long hours. A pram or stroller will provide you the much-desired flexibility and mobility you would end up craving for. What’s more, with a stroller, you may feel more inclined to take those much-needed walks that will help you lose post-delivery weight. Moreover, chores and visits outside the house, to the market, hospital or elsewhere will be a lot more convenient as the stroller frees up your hands for other tasks. Not only will it ply your baby around, you can also stack up the diaper bag and some other basics in the various pockets and sections of the stroller. A pram is just right for an infant, before it learns to sit up. Hence, this type comes with a fully reclining seat. This may also be called a carriage, which is an old-fashioned version of the pram, with big wheels and a pretty canopy. These days, prams are also available in models that can be doubled up as a stroller. That is, they have adjustable reclining seats that allow you to seat your child after it has learnt to support its weight, and hence, can be used from infancy to the age of 2-3 years. A stroller or pushchair is exactly what it sounds. It is an erect chair that you can seat your child on and take it for a stroll. As mentioned above, if it comes with a reclining adjustable seat, you may be able to use it when your child is still in infancy; else it is meant for kids who have learnt to sit up by themselves. 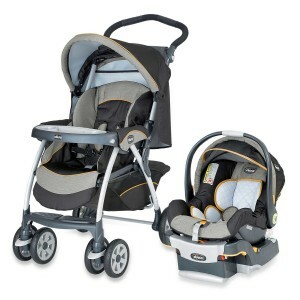 A travel system is a more expensive, but handy version of the stroller, especially if you frequently travel by car. This model comes with a car seat that can be fitted into the stroller. So if your infant is cozily tucked into the car seat, you can just lift it from the stroller and click into the car and vice-versa, without disturbing the baby. After the baby is more than 6 months of age, you can do away with the car seat and the baby can sit by itself in the stroller seat. This model is meant for sporty parents who intend to go out jogging with the baby in the stroller. It comes with three, big air-filled wheels, enabling easy movement and maneuverability on most terrains. Before you start using a jogger with your kid, make sure she has gained enough control over her head and neck, so as not to get injured in case of jerks. If you have twins or an infant and a slightly older child, this kind of stroller may be the answer to your prayers. A tandem stroller has one seat behind the other, while a side-by-side has two seats beside each other. Keep in mind, however, that this design is bound to be more bulky, space-consuming and may not easily fit through all doorways. 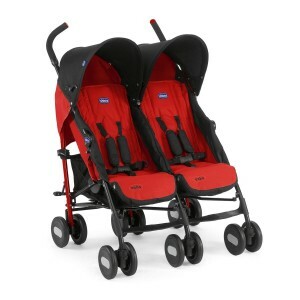 Baby’s age and comfort– For an infant up to six to eight months of age, the pram must fully recline. Once a baby has learnt to sit up, a stroller would be more appropriate. You may pick up a model with a recliner that is adjustable, so that a single piece sees you through from infancy to the age of two to three years. Some models come with reversible seats that allow you to choose whether the baby should face you or the world. Your Comfort – Spend some time with the stroller before you finally pay for it. If you’re buying online, try to drop into a brick-and-mortar store to get a feel of the model. You would need to assess the height of the handles, its brakes and grip, maneuverability etc. Practice pushing the cart around, ensure your back is erect while pushing and check that your feet are not hitting the stroller when you walk. Is it easily foldable? Can you operate it with one hand? Can the upholstery be removed and washed? Will it fit into your car? Is there a storage basket in easy reach for a diaper bag and other essentials? 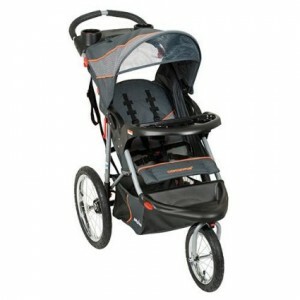 Wheels– While strollers with larger tires (eg, in Joggers) are easier to push around on long walks and unpaved roads, the regular strollers tend to be heavier, bigger and hence, sturdier. Plastic wheels are more delicate and work well if you’re limited to home, malls and pavements. Also, check for fixed wheels and swivel wheels. While fixed wheels are easier on rough terrains, swivel wheels allow easier maneuverability. You can also look for lockable front-swivel wheels that can be set to swivel or not swivel. Do the wheels have shock absorbers? Brakes– Do ensure that the stroller comes with parking brakes that will prevent it from rolling away even after you stop. Foot-operated brakes are usual but some models also have hand levers. What works better for you? Accessories– Extras will cost more, but may be essential for you. Is there a canopy to pull over the baby in sunlight and rains? Is there netting to keep away mosquitoes and insects? Are there holders for baby-bottles, mobile phones, keys etc? Is there an adjustable footrest for the baby? Reliability- Evaluating the brand of the stroller, any certifications it may have, safety features like harnesses, warranty period etc are essential checks and will reassure you regarding the reliability of the product you’re buying. With all this information tucked away in your mental recesses, rest assured that you are well equipped to go out and make your purchase now. Wishing you and your baby a comfortable ride!